I’ve mentioned the Blind Date With A Book event at our school a few times but I’ve put off writing about it until now because I thought if anyone was tempted to have a go themselves, it was silly to be thinking about it too far away from the sort of time you’d want to be organising it. Anyway, it’s about a year since I started planning ours properly so now’s probably the time for other people to start. Quick background first. We were in the fortunate position that Ofsted told us we’d got too much money left in our budget and needed to get some spent (I appreciate the money aspect might be the sticking point for most people but you can still do it in some ways). 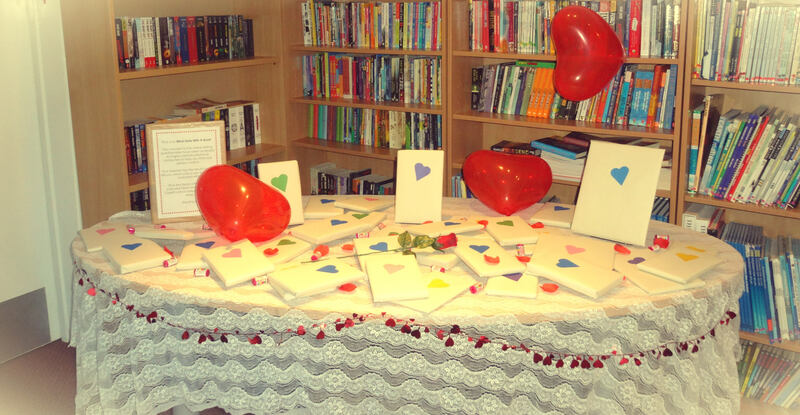 Staff were asked to put in bids for specific items and having recently seen some images of Blind Date With A Book events and wondering if we could do something similar at school, I thought it would be a good opportunity to give each of the boys a book to take home. So I typed up a very official looking bid and was told to go for it. The premise of Blind Date With A Book is that people get to pick a book without knowing what it is and get the chance to read something they might not normally go for (generally speaking I’m a believer in judging a book by its cover but I understand that we’re not supposed to do that). 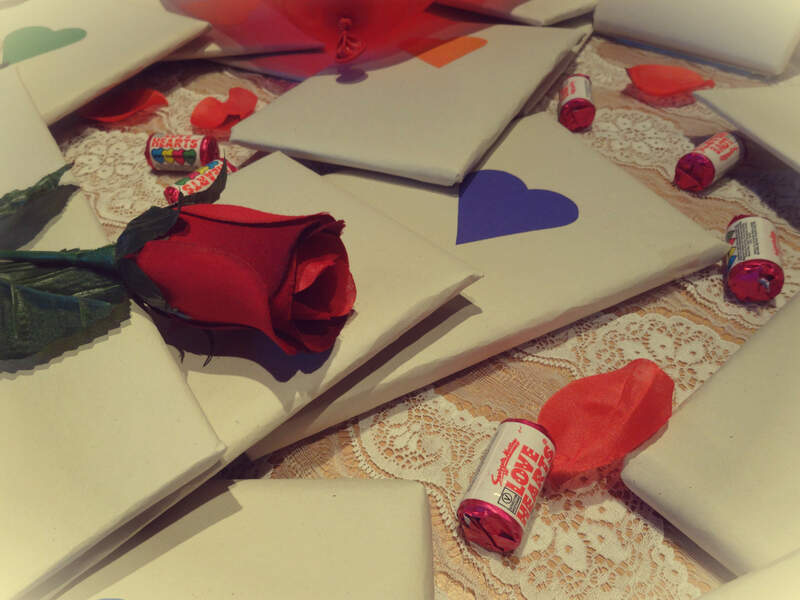 I’ve seen pictures of schools, bookshops and libraries going about it in a variety of ways – plain wrapping, fancy wrapping, brief descriptions on the front, clues to the book, only the scannable barcode revealed, small and big displays – all around Valentine’s Day*. I’d originally thought about just wrapping up some books in the library, but given the sudden injection of a bit of cash I went for buying an awful lot of books instead. *I also saw a Halloween one with a whole ‘Dare To Read’ theme. I knew that I’d need more books than boys – they’d need something to choose from. I knew I’d need a wide variety of levels of book – we’ve got pupils from 7-16 and within that, reading ages that stretch in every direction. I wasn’t too concerned with excess books as everything left over has gone in the library or classrooms, but other than that I wasn’t quite sure how it was going to work out. I started by being completely indulgent and buying books I thought they might enjoy; books I like and recommendations from colleagues and best-seller lists. Then I moved on to bulk buying and making up the numbers like a loon. I got quite a lot of books from Scholastic. They have a good selection of all sorts – you can filter by price and age quite nicely plus there’s the bonus of earning money to spend on books for school as you’re buying. I managed to get quite a lot this way, including lots of free ones. 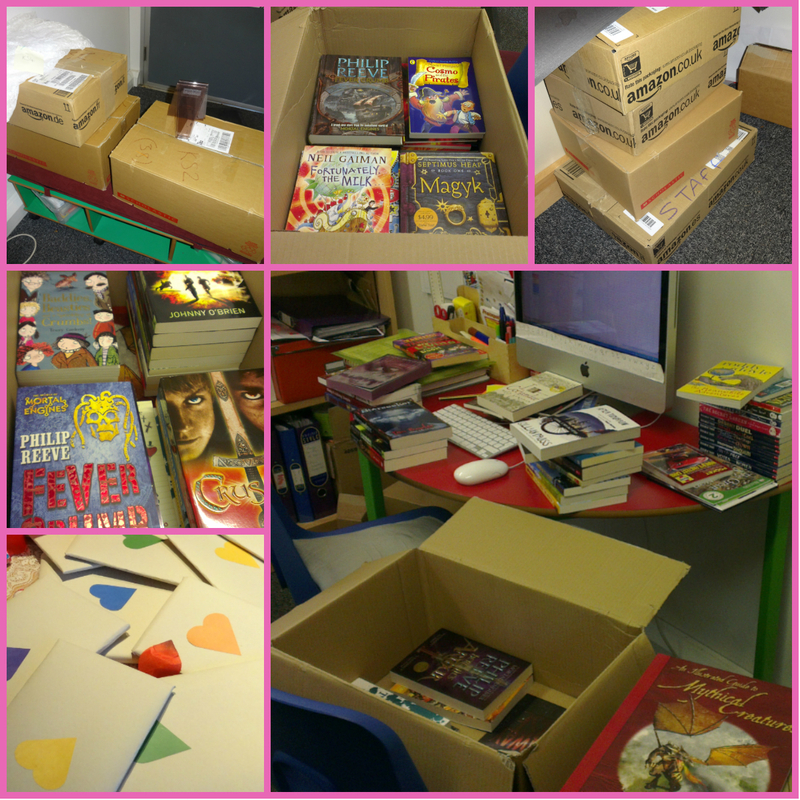 Quite a few of our pupils are into things like Robert Muchamore’s CHERUB series and Liz Pichon’s Tom Gates books. I love these books and I’m perfectly happy that if they’re reading anything, they’re reading and this is a good thing. I did include some of these books in my haul, but I also took the opportunity to introduce things like The Hitchhiker’s Guide To The Galaxy, some Terry Pratchett and a bit of George Orwell. This was about getting them to read something new, but also about getting them to actually give it a go. The most difficult books to get were ones for the kids with a much higher chronological age than reading age. They need books pitched at their interests but often they’re completely beyond them reading-wise. Amazon’s ‘Look Inside’ feature is good for helping to gauge the words, and I found some books published by Dorling Kindersley that have proved quite successful. The DK Readers books have levels (some more subtly than others) from ‘Beginning to read’ to ‘Reading alone’ and include a variety of non-fiction and brands like Lego, Star Wars and Angry Birds. One of our Year 7s with a reading age of about 5y 6m has really taken to these books now so at least something good has come from it all! I have genuinely dragged people into Waterstones to show them how brilliant they are. So. 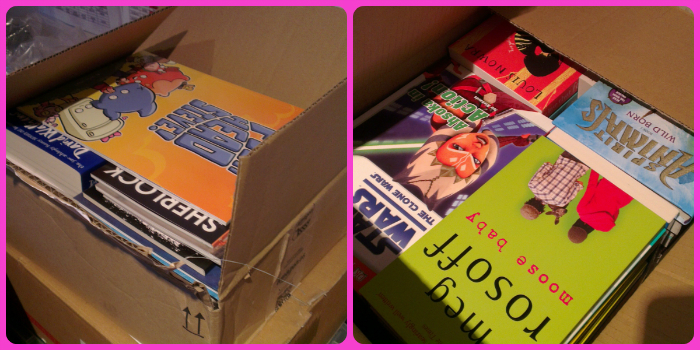 I had boxes of books suitable for 7-16 year olds with reading ages of ‘not’ to ‘adult’. I had the morning of Valentine’s Day to fill and I needed a logical way for 50+ boys to pick something that was at least pitched at roughly the right level. 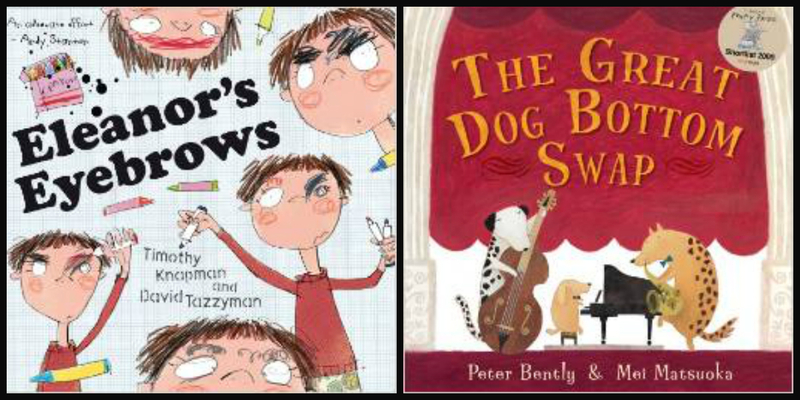 I decided the best way to make sure they got a suitable book was to divide both the pupils (within Key Stages) and books into similar level groups and get the pupils to select books from the right group. I needed to do this in a way that wouldn’t embarrass the lower level readers and make them stand out so I decided to stick with the ‘Blind Date’ theme and get the whole school to fill in an online dating questionnaire. I didn’t sign them up to anything dodgy, I created my own simple WordPress questionnaire. 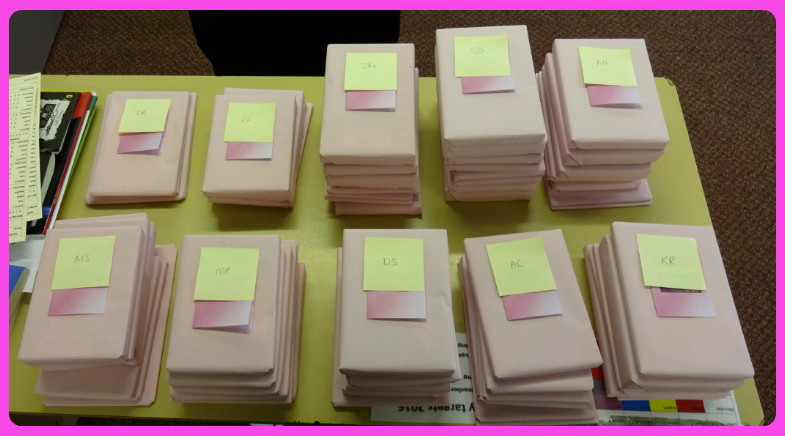 I didn’t need to know what the actual results were, I’d already grouped them, but I was able to give each class a list of the pupils’ ‘results’ with which corresponded to the colour of heart I’d stuck to the front of the wrapped books. The kids happily thought their result was down to their choice of car or ice cream and none of them were singled out as low readers. I know something like this isn’t going to be possible for everyone. We’ve got a manageable number of pupils and I had the money to do it. I do think it would be something more schools could introduce to their libraries or for individual classes/ year group to do perhaps. I left it up to class teachers as to whether they followed it up with book reviews or class blogging and gave them some rewiew pro-formas, but as we broke up for half term that day, I think they all left it there. It was a lot of fun to do with the boys, especially as it fell as an end-of-half-term event and we did our own version as a staff team. My reading of 2014 was swamped with those books, but I’ll leave that one for another post.